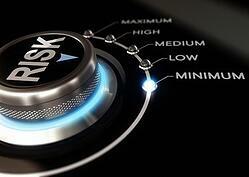 How Much Risk Should an Owner Transfer to a DB Firm on Their Project? One of the benefits of collaborative project delivery is that it allows owners to transfer risks to the design-builder that they would normally have to retain in a standard design-bid-build project delivery framework; however, owners should resist the temptation to divest themselves of all project risk and transfer everything to the design-builder. Rather, owners should carefully weigh the cost/benefit of risk transference and develop a project risk allocation strategy. The owner might receive fewer bids if the risk profile and allocation is deemed unattractive by the marketplace. The owner might receive inflated bids as DB teams build in extra contingency to try and account for added risk. Project performance might suffer if the design-builder owns risks that it is not in a position to manage. On the other hand, a proactive and balanced approach to risk will usually result in a competitive bidding environment and serve the owner well during project execution. Owner’s advisor. An owner can choose to hire a firm to provide technical and advisory services during procurement, contracting, and management of a project. An owner’s advisor that is experienced with design-build can help guide an owner in developing a risk allocation strategy by conducting a project risk assessment early in the procurement process. WDBC Handbook. The WDBC’s Handbook has a chapter titled “Apportioning and Managing Project Risk." This chapter contains a wide range of risk-related information including the principles of risk allocation, key contractual considerations, and details of typical risk allocations for different types of collaborative project delivery. Industry feedback. Issuing a draft contract to the marketplace before the procurement commences or to all interested teams during the procurement can provide valuable feedback and help optimize risk allocation. AECOM is an American multinational engineering firm that provides design, consulting, construction, and management services to a wide range of clients. A global network of experts working with clients, communities and colleagues to develop and implement innovative solutions to the world’s most complex challenges, AECOM is built to deliver a better world. You can find more information about AECOM by visiting their website.